"You Might Be From New Brunswick If…"
Dan Soucoup in Atlantic Books Today. A good idea needs a great execution and You Might Be From New Brunswick If… certainly contains both. 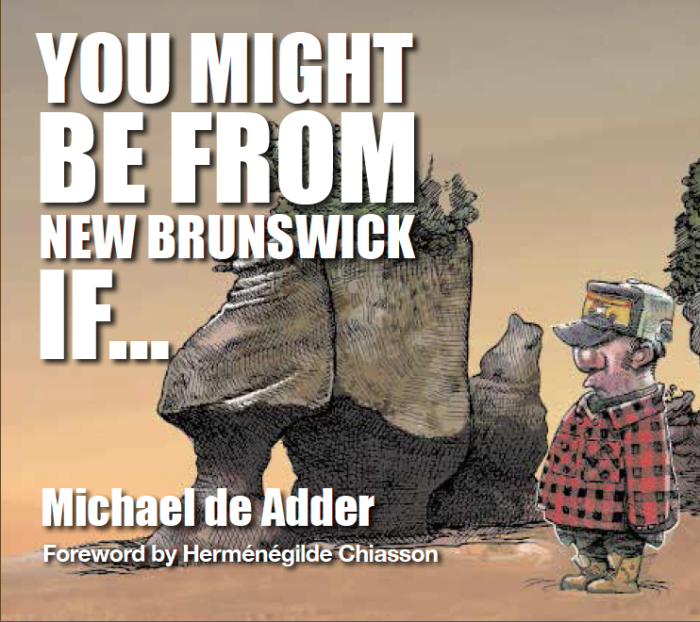 Michael de Adder’s crisp artwork and clever concepts takes the reader on a journey around the province showing us what’s distinctive and truly unique about New Brunswick. From fiddelheads and covered bridges to high tides and Alpine beer, de Adder’s illustrations provide us with a humorous take on all things New Brunswick. Dan Gearino from The Columbus Dispatch. Columbus will be the site of a new comics festival that will seek to attract a national and international audience, organizers said yesterday. The first Cartoon Crossroads Columbus — CXC for short — will be held in October 2015. 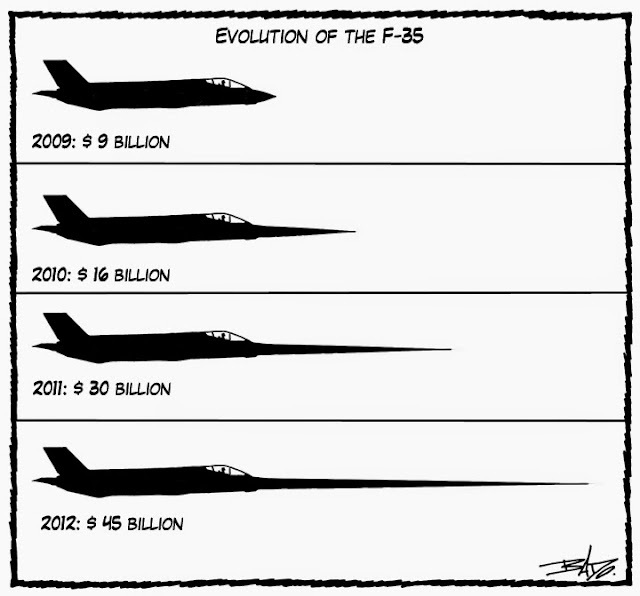 Today's cartoon in Le Droit is featured on the Yahoo Canada website. 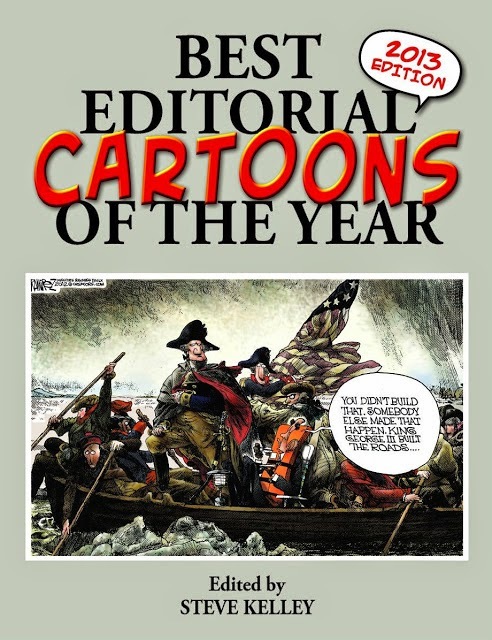 "It is with great sadness that we announce that Pelican's Best Editorial Cartoons of the Year Series, produced annually for the past 42 years, will no longer be published." Mr. Crumb goes to Washington. 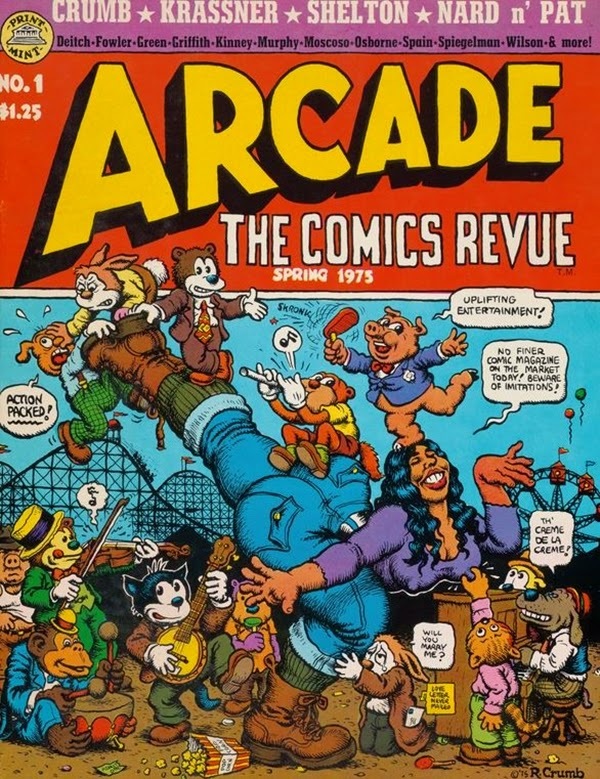 The National Gallery of Art in Washington D.C. has been given an extensive collection of underground comic books and they are the first comic books to enter the gallery's permanent collection. 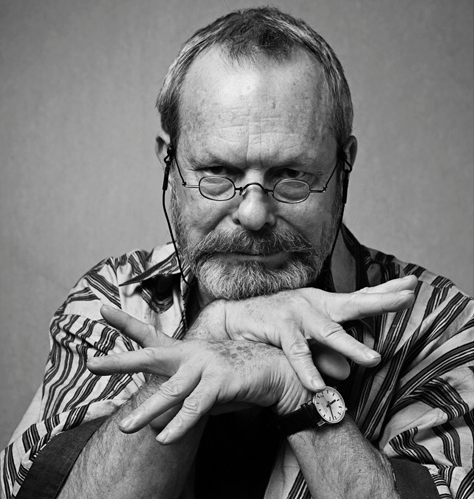 To celebrate his 74th anniversary, an interview with Terry Gilliam from The Talks. Mr. Gilliam, you’ve been given the nickname “Captain Chaos” because of all the things that have gone wrong on your film sets. Do you need chaos on set to be creative? 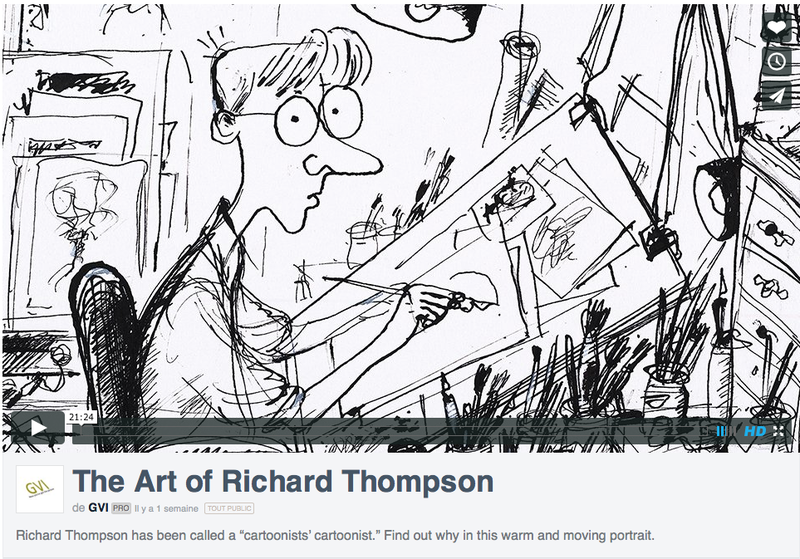 Art of Richard Thompson from GVI on Vimeo. 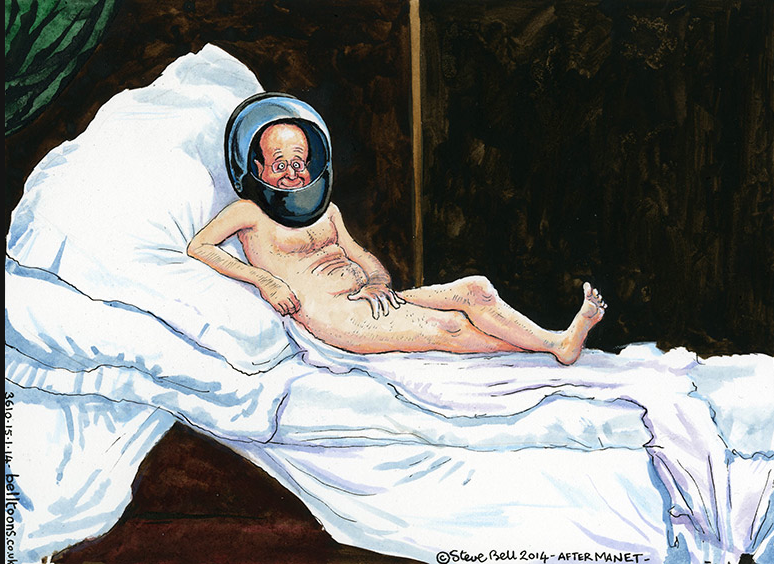 You can cast your vote for the Political cartoonist of the year on the Ellwood Artfield Gallery website. 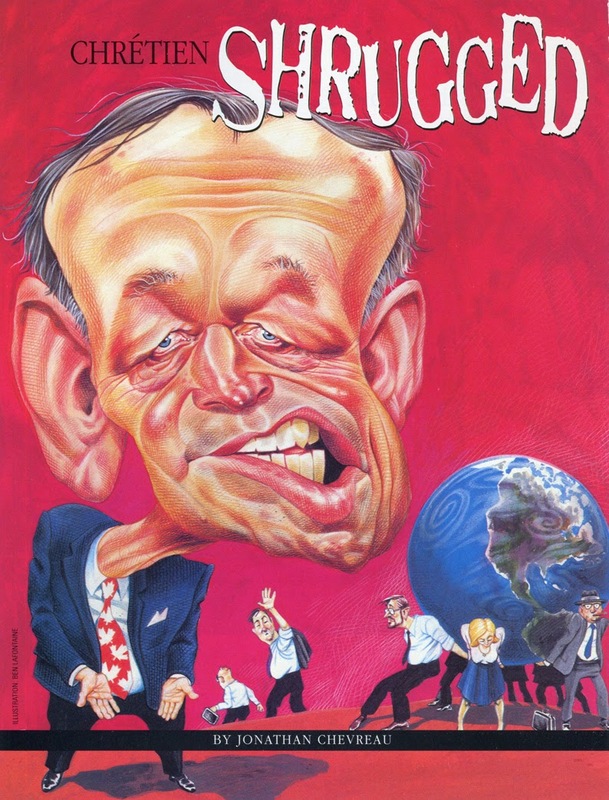 Steve Brodner interviews Edward Sorel, Burt Silverman, Joe Ciardiello, John Cuneo, Jason Seller, Anita Kunz and Victor Juhasz in the Society of Publication Designers' website. What is your first conscious or unconscious act in sizing up a face as you begin a project? 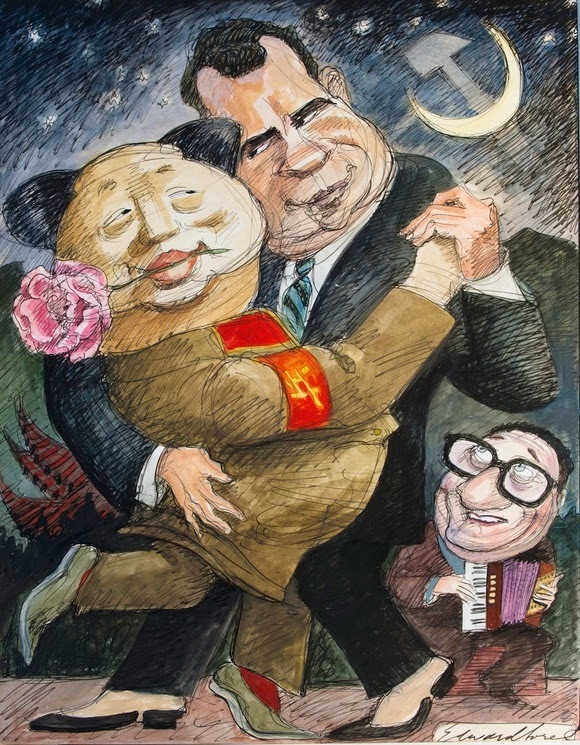 Edward Sorel: Since we work from photos rather than from the person, the first question is, "Does this photo look like the person?" If it doesn't, you either need another photo or, if you like the expression, get other pictures from other angles--profiles are helpful. Then you exaggerate the feature that is at variance with the ancient Greek ideal of the face. 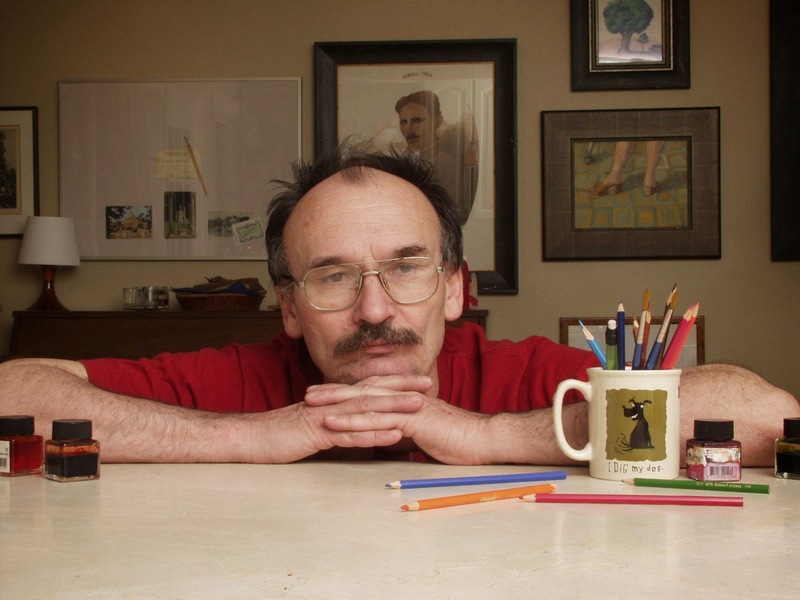 Cartoonist Dušan Petričić has inspired generations of children to stick to basic rules. He’s now applying the same methods to grown-ups. This drawing was featured yesterday on the iPolitics website. It is one of the great tragedies of our times that the daily press only publishes illustrations on rare occasions. 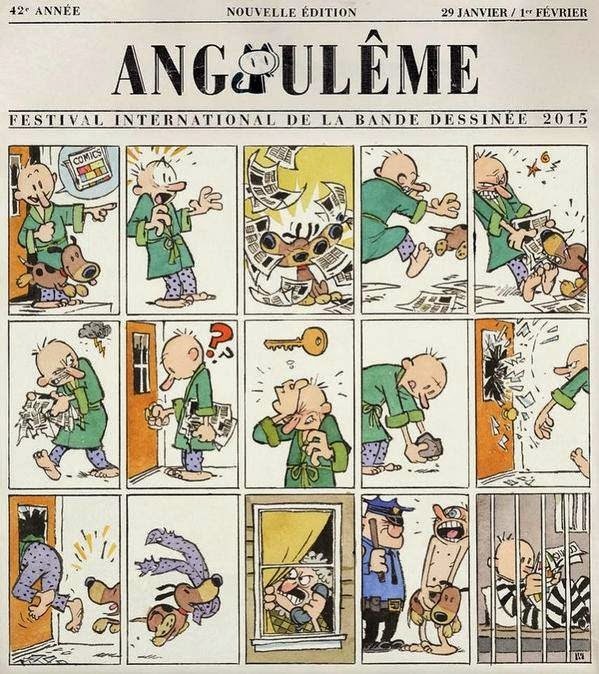 Thus talented cartoonists such as Benoît Lafontaine, Patrick Dea or Fred Sebastian are forced either to scrape a living, do commercial work or make a career in education. The other tragedy is to die prematurely. So it is with sadness that I learned of the death last week at age 51 of a colleague who deserved greater fame. 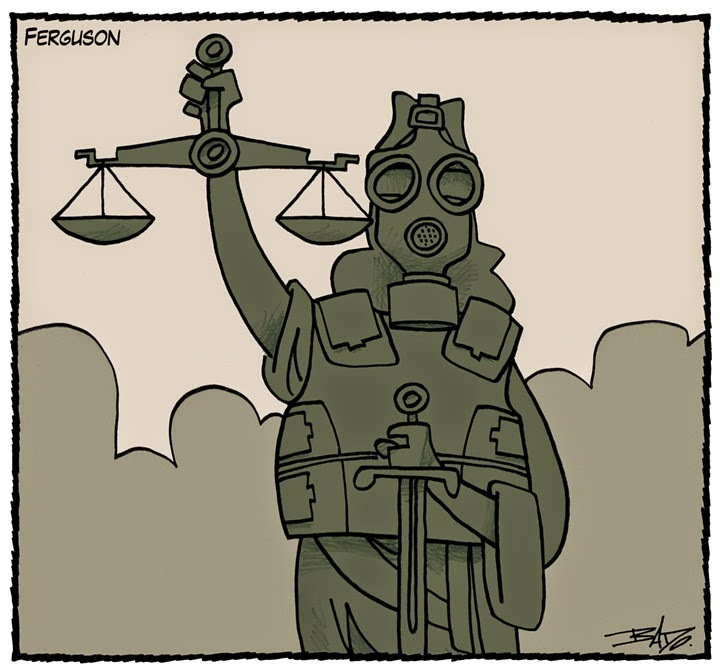 My cartoon in today's edition of Le Droit is reprinted on the National Newswatch website. 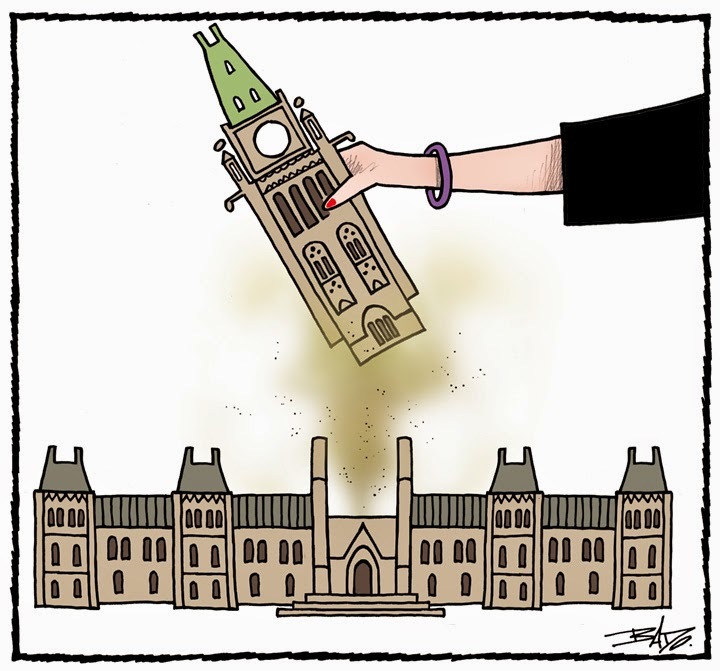 Susan Schwartz in The Montreal Gazette. 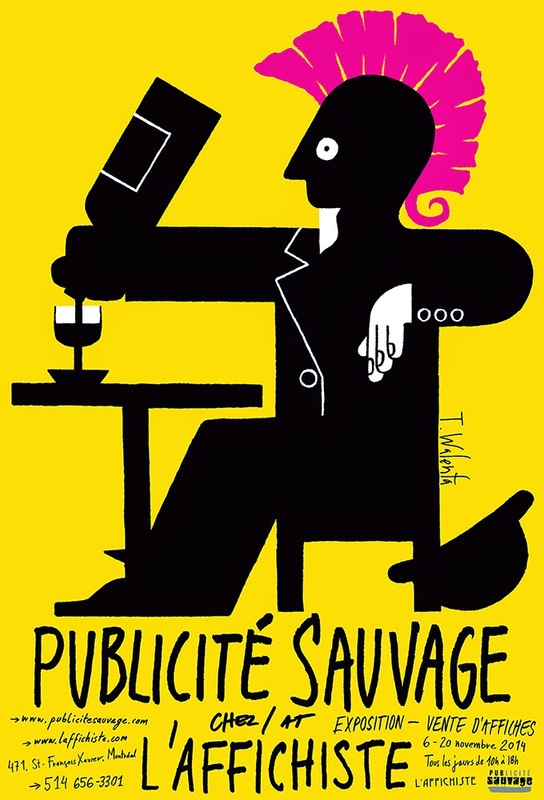 If you happen to drop by L’Affichiste, Karen Etingin’s Old Montreal poster gallery, some of the posters in the exhibition she’s mounting in November will perhaps look familiar.